It’s odd to look out the window here and still see snow – yes, snow – on the ground after a week. And, it’s interesting to me how the weather can have such a profound effect on not just our physical space but on our psyche. The day just feels different when you are looking out the same windows but seeing different things, when the cold air stings your lips and the sky fills your eyes with the same, but different, light. For me, it makes me feel life differently. 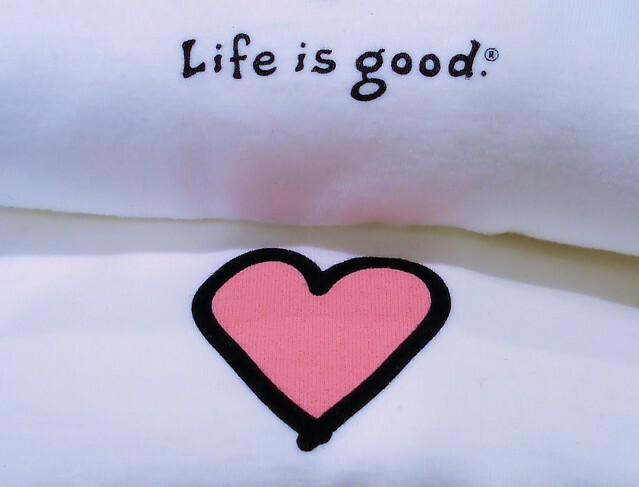 And life is good, indeed. afternoons that could be spent just watching football, or not. frozen fruit – truly, there is nothing better than a frozen fruit smoothie when the grover is completely out of fresh produce. 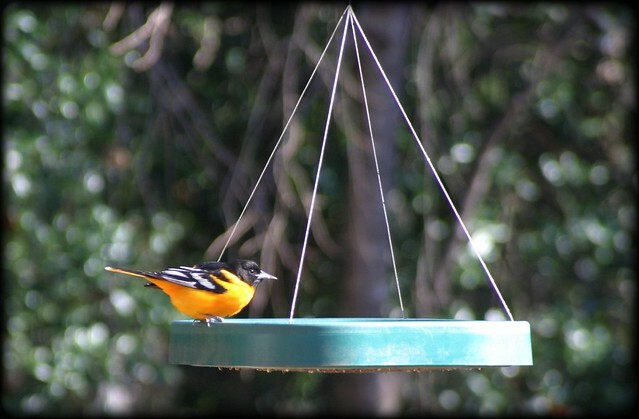 This is a lone Oriole that showed up to our feeder this weekend. I don’t think he’s supposed to be here in January – odd, that. We awoke to an enchanting blanket of snow this morning – also very odd. The local news is fixated on forecasts, school closings and road conditions while the national news covers the tragic shooting in Arizona this weekend – an odd mix of politics and senseless human tragedy. It takes but one small step from the day-to-day to realize our worlds – personal, local, global – are teetering on an odd edge. Our global climate, our collective empathy, and a general shift of our major institutions all deserve a critical eye as we move through these uncertain yet exciting times. A dispassionate perspective might yield that these may be mixed blessings – an opportunity for us to demand more clarity, to seek more information not less, and to rethink and reboot systems and institutions that are already outdated. a snow day – a mixed blessing of down time and potentially dangerous conditions. a weekend filled with wildlife. a warm house, a full fridge and a good fire. I can’t recall in my lifetime being so anxious to close the door on a year, and nail it shut. The year 2010 was a particular monster – cruel and cunning, heartless and unwavering. Good riddance, and if I have but one year like that in my life that is good news. In contrast, 2011 while it hints at being a time of great uncertainty, is a welcome guest. the end of a most dreadful year that while it raged, didn’t defeat us, but gave us pause and a rekindled spirit. all of the people who reached out and uprighted my boat when I was sure it was capsizing. time off to refresh and recharge, rethink and re-engage … or just sit around and watch the birds.